Deneuve was responsible for the communication of Utrecht Manifest 2009 (UM), the third biennial for social design, commissioned by the Foundation Utrecht Biennial. Five exhibitions and a series of activities and public programs, a website as a platform for the inter nations discourse social design. Artistic Director of UM, Guus Beumer, did not want to thematize the phenomena social design in this edition but rather questioning it. The major question ‘What is social design?’ symbolized the research attitude of this edition. The communication was not conducted in a pure representative way but was an integrated content driven part of the event, which resulted in a different approach. The point of departure was not to sell a complete package to press and public; Deneuve asked the same questions as in other parts of the biennial. While we communicated the biennial, we researched the possiblilites of ‘social communication’, with a digital environment as a starting point. The considerations that play a role in social design were integrated in the communication by enhancing the involvement of the target groups and by stimulating participation in design and implementation. ￼Next to a print campagne we focused on the digital environment and the interactive participative element, with contributions by the various focus groups: audience, participating students, curators, designers, artists, theoreticians, etcetera. The first goal wat to enhance the involvement of our focus groups with which we were able to sharpen and broaden the process of thinking on social design. Second goal wat to realize the specific targets of UM with regard to audience outreach and to try to get 40,000 visits, which was amply achieved. 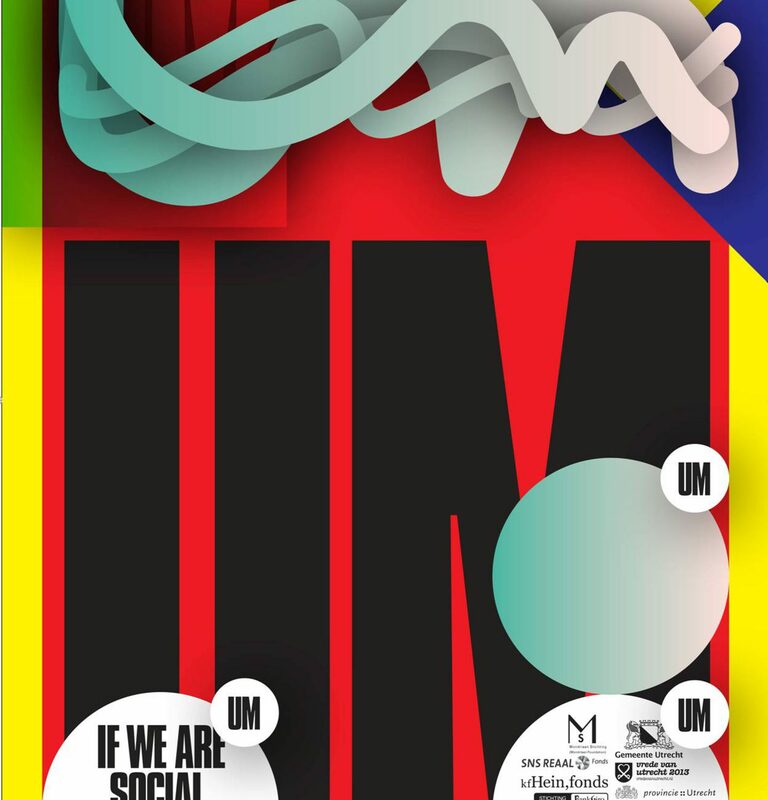 The campaign for UM was developed by Deneuve in close collaboration with Metahaven (Daniel van der Velden, Vinca Kruk, Gon Zifroni), artistic director Guus Beumer and others. Deneuve took on the role of intermediary more that a classic media agency which sends out an unambiguous message. The campaign consisted of a number of digital and print products that were implemented in a strategic manner. Important part of the communication was free publicity. Networks of participating institutions and of various stakeholders were involved in the process. The website was technically developed by Florian Schneider of KEIN.ORG, who made use of the open source content management system Drupal.